Balticon was great for many reasons, but I will talk exclusively about the three great pagan-ish things that happened, the ones I went to at least. I actually came to this years ritual and I HAD SO MUCH FUN! 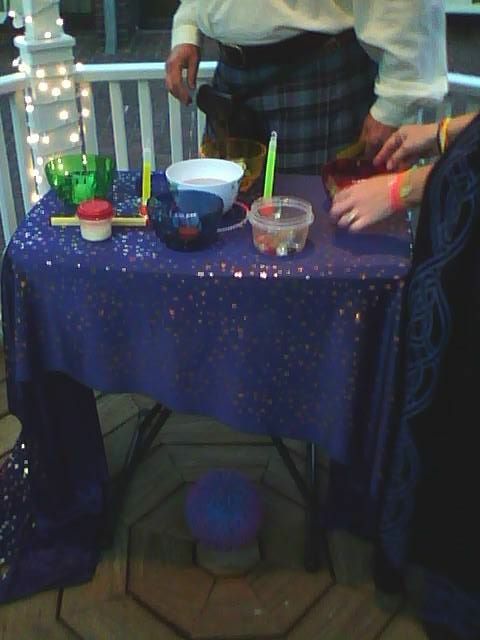 There were bubbles, bells, rattles, glowsticks, a squishy neon ball with lights on the inside, and cool music. Those who wished to process from outside to get more people to join us played our bells and rattles and drums, blew our bubbles, and paraded around a section of the convention area and made our way back to the sanctuary. We had two members greet us upon entering. 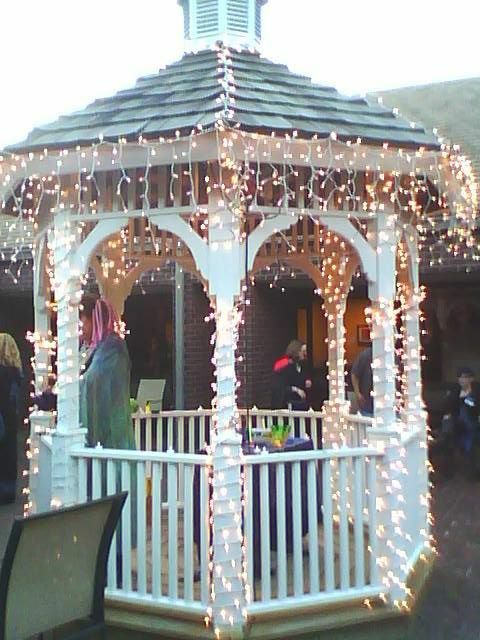 One sprinkled glow water (water with a glowstick inside) on us saying “blessings”. Another member in a robe with a lightsaber blessed people saying “In perfect love and perfect trust” making the knighting motion over each shoulder. We then started the ritual calling in landmark areas for our directions: Chesapeake Bay was East, Susquehanna River was North, the Catoctin Mountains was West, and Belt Woods was South. We also called in Earth Mother, Cybernata, and Logos. We raised energy by passing/throwing around the squishy neon ball that lit up with movement and we played fun dance music in the background. We then shared with each other how technology and the internet has changed our lives. Mostly we shared how it had changed our lives for the better. Afterwards, we blessed any technology we had on us in incense. I blessed my phone and USB. Lastly we shared cakes and ale. 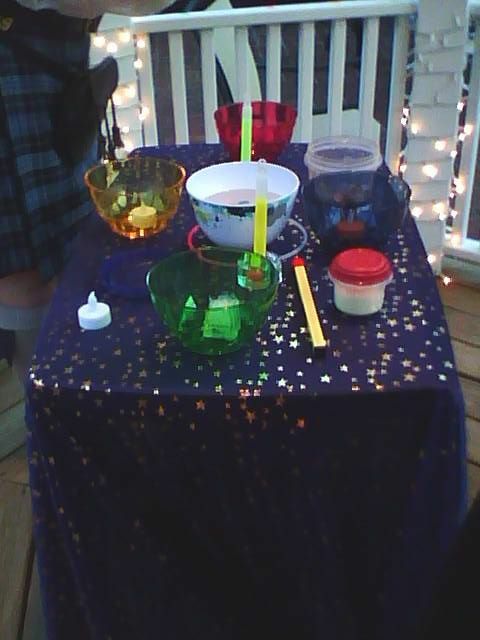 At this ritual we had iced sandwich cookies for cakes and mountain dew for ale. THe mountain dew was in a giant neon green alien cup. After the ritual was over we had a smaller dance party in the courtyard/sanctuary for an hour! WHOOO! I loved learning this. 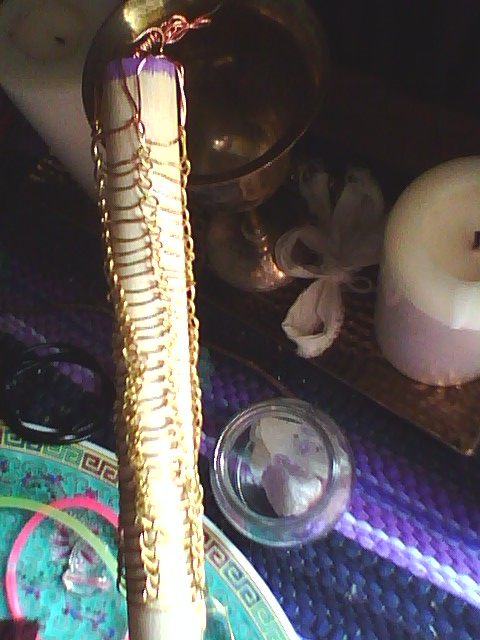 It’s beautiful in the process and turns into a lightweight beautiful chain when you finish. Our lesson ran overtime so I never learned how to finish it, though our teacher said we could look it up on youtube, plenty of videos there apparently. 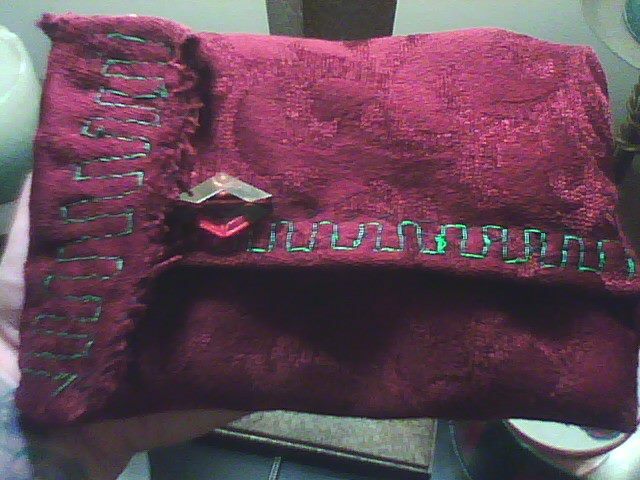 Okay, so the class was called making a Viking pouch but pretty much it’s just a pouch. Our teacher, having been booked for teaching a few too many classes in such a short period of time, accidently gave us the wrong directions for the pouch we were supposed to make and didn’t have the string for the drawstring pouch she accidently started teaching us how to make. SO, I got creative and made this. I added embroidery later and still need to add extra fabric so I can attach it to any belt. This entry was posted in DIY, Spirit and tagged 2013, Balticon, Balticon 2013, bells, Belt Woods, cakes and ale, Catoctin Mountains, Chesapeake Bay, Cybernata, glowsticks, lightsaber, Logos, pagan, rattles, rite, Ritual, sewing, squishy balls, Susquehanna River, Techno-Pagan, technology, Turning Circle, viking wire weaving. Bookmark the permalink.